So our first big Guiding adventure of 2014 is over. But it won’t be forgotten very quickly. Mother dearest and I had an early start to get to Alexandra Palace for 8am. The Celebrate event team had requested volunteers arrive from 6am onwards to help prepare the venue for the weekend’s activities. Traffic was a doddle and we parked up at 7:45am. We entered the venue in shock and slight fear as we heard shouts from the middle of the room. Volunteers were taking orders and helping prepare activities. We sneaked off to the toilets before confronting one of the lead organisers. We were sent off to the largest room to collect supplies. Mum was designated the Chinese Lanterns as her activity. I think she had been worrying about this task, especially when we found the equipment and before setting it up she was practising her own! A square made up of two long tables the activity was a small one but ready to go. d) there was nothing to mix the icing with! We collected some more supplies, confirmed that the girls had to think more strategically to build the igloos and decided to collect water in coffee cups before the event started. and headed to the Passport to Adventure zone and waited patiently with the marshmallows. The doors opened and not long after the first trickles of Rainbows and Brownies came in. The first group were distracted by the Bollywood Dancing workshop but they were followed by three Brownies who were pointing at marshmallows with their leader. The start was hard going because these girls had to begin making the icing. It took a while, and some Guides joined them, but soon they were all sticking marshmallows together with the icing to create some cool treats. The activity got popular very quickly to the point it was out of control. I had planned a ‘no seat no activity’ rule as we didn’t have enough space. But soon leaders were pushing their girls into every available spot (and then standing around them so I couldn’t introduce what they were doing or offer down more marshmallows!). By an hour in I wanted to scream and go home. The lead volunteer in the area could see my distress and checked everything was okay. The giant marshmallows were gone within 45minutes and I seemed to get the blame for giving them out too freely. Well, the girls had realised that these made igloos quicker and, guess what, contained more marshmallow to eat than the little ones! Lunch for me was at 12:30pm and I could not wait. I met up with Mummy and we headed to collect our jacket potatoes. We discussed our activities, Mum’s was a lot quieter and even had leaders using the space as a rest zone while their unit played elsewhere. I complained of the chaos and at this time felt awful about returning. This had become a work day and I was not happy about that. As we ate lunch Chief Guide Gill Slocombe could be heard on the speakers asking everyone to stand to renew their promise. I put down my cheese and potato and renewed my promise with the other leaders around me. Later Gill Slocombe appeared on the table next to us but this would not be our last meeting. After lunch the marshmallow igloos got better for a while. There was more control and I achieved my dream of being known as ‘The Marshmallow Lady’. One Brownie made a specially amazing igloo. There were tiny Rainbows making them and adults doing their best to build a roof. But disaster struck at 2:30pm – we ran out of icing sugar. I spent a long time explaining the situation to leaders and was looking over the crowd for our lead volunteer to decipher if more icing sugar was a possibility. Girls had taken to building without the icing but the activity became much more unpopular with this turn of events. On seeing our lead volunteer I told her our plight and she went off in search of more. Even the lead organiser, Claire, came to me to ask about the situation. One clever Brownie holding a plateful of marshmallows suggested the biscuit decorating stall for more. It was a great shout but there still was not enough. By 3:40pm, 20 minutes before kicking out time, we also ran out of marshmallows. But the crowds had died down so we began operation: clean up. Mum finished her area long before I did so came to help. After someone stole an instruction sheet, we added new banquet rolls and left everything as we found it we took a stroll past the new Brownie Book designs. Soooo cute! Cannot wait to purchase them. We helped out a few guiding friends before we hit the road. We had lots of stories to compare but generally both felt happy about our contributions that day. Next challenge, taking 9 girls to the arena! After a short sleep mother dearest and I awoke again for our second day of Celebrate madness. A lay in compared to yesterday we left at 8:10am with our fellow leader, Sue. On arrival at the station we found two of our older members already eager and waiting. Our group was a mixed bunch. From tiny 7 year old Brownie, three 8 year old Brownies, one 10 year old Brownie, one 10 year old Guide, and three Brownie Helpers (also Guides) aged 12-14. All arrived on time and we were on the platform by 8:30am and got a train ahead of schedule (not that I was aware of this at the time and went into panic mode later). The walk up the hill to Alexandra Palace was a tough one. We lost Sue into the crowd of Brownies behind us. “I’ve found Blackbird,” shouted hyper Brownie as she pointed across the road to a curious bird. The rain and wind tried to pull us back but we pushed on through to reach the giant venue. I got our group registered, in the queue, and very quickly we were ushered into the venue. 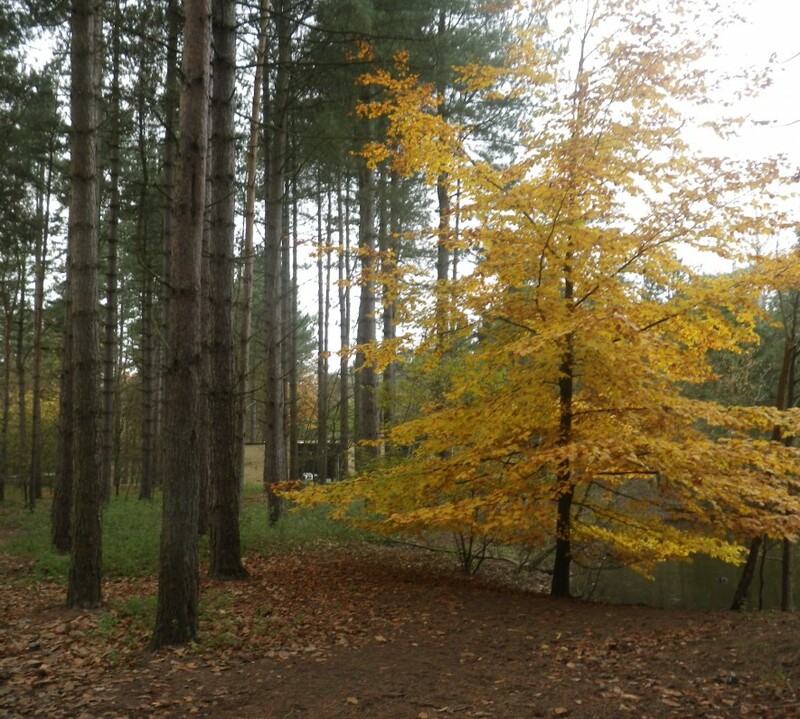 Our discussions with the groups on their favoured activities went out the window when we arrived. A group of Brownies wanted to try the bungee trampoline but we had to explain the queue was at its maximum but we would return later (unbeknown to us this would always be unsuccessful.) Instead some took to the revolving climbing wall while others met the animals at the petting zoo. The revolving climbing wall was an interesting watch, most managed to stay on the whole time while. We tried out the bowling, BATAK challenge, duck racing and table tennis. I took the 10 year olds to look around while the younger ones stayed by the ducks. They tried candle decorated, looked at the mosaic that many girls were assisting in creating and tried some Edinburgh rock. In the village fete zone we queued for the scalextric stand where the girls cycled to power the race cars. As we queued I noticed a lone Guide before us. My girls asked whether one should join her when a fellow leader appeared by my side. “Wow! What’s this! It looks amazing!” She chirped with sheer joy. I looked up to see Chief Guide Gill Slocombe by my side. We discussed the activity before I pointed out there was a Guide looking for a partner to race. She was so filled with excitement that it was contagious. My two girls then took their go and really enjoyed themselves. After lunch half the girls headed to the funbus (a regular bus but spray painted blue with soft play toys inside) and half queued for the roller disco. I happened to be waiting with the roller disco girls and minutes into the queue the Guides questioned whether I would join them. “No, no, no,” I instinctively reacted. “Come on Brown Owl, please!” The younger Brownies insisted. I must admit, it felt nice that the girls wanted me to join them. I saw other leaders taking up the opportunity and decided why couldn’t I have some fun too? The roller disco turned out to be my favourite part of the day. It was good to be involved, but mainly I realised I was needed on the disco floor too. One smaller Brownie had never skated before so I became some support while the railing helped her stay up too. During our time in the skates she managed some distance with no support at all. She did fall once, but we even managed to get across the arena without the railing at one point. I had a short race with the more able skaters and we all had a good time. But for me, knowing I’d helped a girl have a new experience and face a challenge was the most rewarding and therefore most memorable. The Brownies and Guides also tried the musical Gamelan workshop, the silent disco, made body scrub, tried Henna art and made masks before we made the journey home. The group had wanted to try the marshmallow igloos but it seems the activity ran out of stock even quicker on the second day. That’ll be an activity for next term I think. We were all exhausted by the time we returned home. “How are we getting home?” One Brownie questioned as we arrived at our station. “You’d better have a parent waiting here, because we will be off!” We joked with her. I thought this event was a great experience. As a leader it gives you more time to interact and have fun with the girls knowing you’re not the one with all the activities to lead and questions to answer. 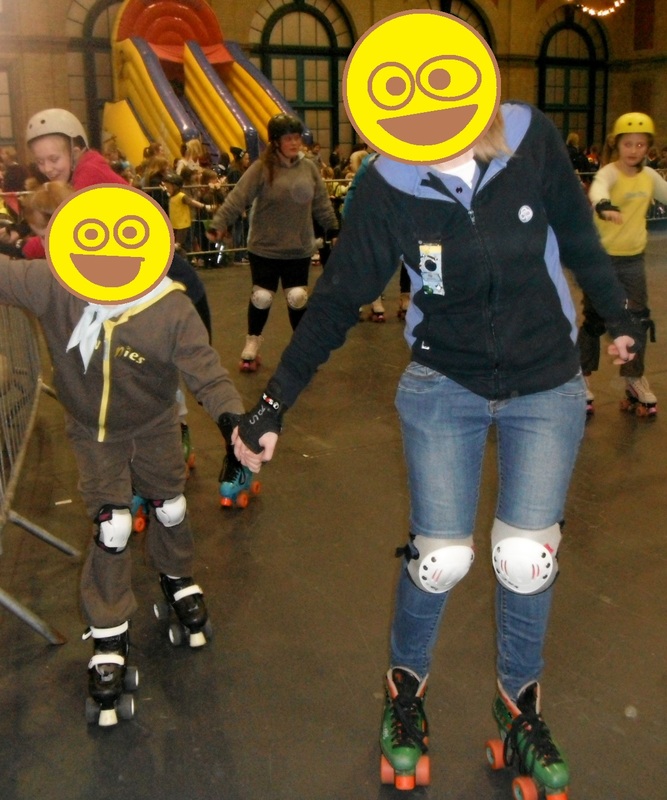 As a Brownie or Guide it gave them pure decision making with a vast range of activities to choose between. Plus team work on picking activities together and many challenges to face. 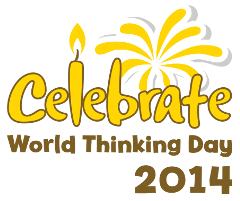 Will we see another event like this to Celebrate World Thinking Day? I truly hope so!